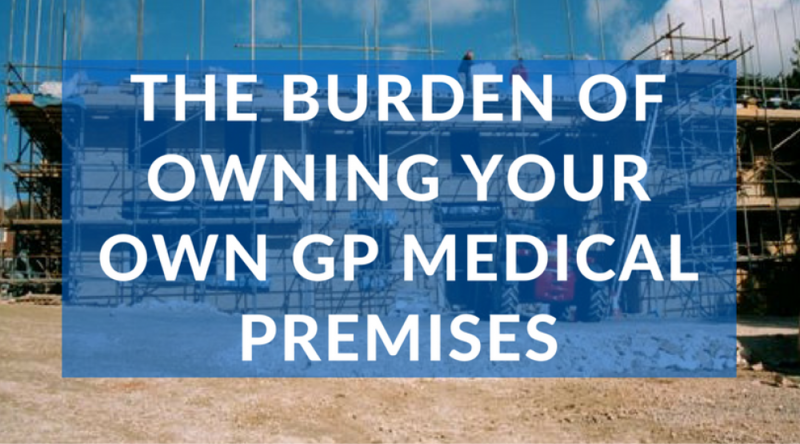 Property ownership comes in many shapes and sizes but how much financial risk does a GP want to be exposed to? When it comes to being responsible for a medical property, managing risk is key. In the not too distant past, most GPs owned premises unless they were in a health centre. It was recognised as the natural if not only approach if you wanted to be a GP in a community. There was strong demand from up and coming doctors wishing to follow in the footsteps of a successful practice life style, where buying a share in a surgery was deemed sensible, with many partnership agreements requiring new partners to buy out a retiring GP. This would be a valuers challenge and many a court case and argument over value has been had. But there was a regular flow of willing and keen new wannabe GPs prepared to pay to just get in to a practice. Times have changed, as we all are only too well aware. When it came to outright ownership, the scenario worked where a GP took out a loan on a new property (historically GPFC and more recently from Lloyds Bank, who are now one of the most active lenders in this sector to lend to GPs). The biggest risk then (but limited) was that a GP put their house and premises on the line for security. One of the most noted issues GPs have today (and highlighted before) is the issue with succession planning. Succession issues are often related to no one prepared to take over, premises that are now totally out of date and no momentum for the future when there is no flexibility. This is the risk- that you have a big loan, an out of date premises that needs refurbishment and no one to sell your interest to. So Why Own A Surgery? A significant reason is a stoic belief of capital growth. Property always goes up in value. The objective is for a GP to make a return out of the capital appreciation of a property. The vision of the ‘nest egg’ when it came to retirement was there to deliver hope and promise. However, what has happened is that some properties have not had capital appreciation in significant terms. Leases are being capitalised on the revenue stream on new or up to date premises generally ok but many surgeries are now out of date and room sizes are far too small and still capitalised on rental flow. . There is also the design issues of older surgeries not being capable of re-configuration for current requirements when originally built, whereas modern surgeries have to include flexible arrangement. When it comes to ownership there is risk throughout the whole development process. For instance, GPs have to fund architects, finding the best-suited land and liaising with consultants for the duration of the project. Any of this could be aborted at any moment and all from the GPs budget. It certainly doesn’t look as attractive now, where responsibility is 100% with the owner. Why A Third Party Developer Option? The key for any successful development is ‘ a good relationship’ with your team. For a long term project such as a GP surgery trust has to be the watchword, the key ingredient from both parties it is a joint approach to make a scheme work and any concern as to the integrity of the team can and will jeopardise a successful outcome A Third Party company is going to spend a significant amount of money; from surveyors, architects, valuers, planners, highway engineers to various other consultants and public consultations just to get a project underway. The GP team has responsibility for communication with patients and the local community and driving the scheme forward with the with the CCG NHS to secure the all-important approval for the premises. This is a team effort with responsibility shared on both sides. When a partnership is instilled then benefits are recognised from the delivery of modern, fit for purpose premises to a GP handing responsibility for the upkeep of the building to someone else. When compared to owner occupied buildings the main difference is flexibility. Always a big question, personality, integrity, track record. Who /what type of organisation do you want to be associated with is a really personal decision and often taken on recommendation. What should you be wary of? When a story is painted of an extremely long-term relationship, interested in the high quality is the focus to latch onto. The reality can be a medical property that is built as economically as possible. This way the NHS rent is the same even if it is built poorly but represents an unfortunate scenario of high maintenance, low quality. A GP will be responsible for a service charge and payments, whereas a developer only has one goal underlying everything, continual rent coming in to service the debt on the property to pay shareholders a return. is the third party team accessible and easy to get hold of? does the developer consider they have a wider responsibility for the community the premises are going to be part of? How do they demonstrate this? Is the long-term future of your building a key part of the ongoing conversation? When it comes to working with a third party developer (such as our property partners, Charles Higgins Partnership) everything is centred on balancing risk. Whilst a (Third Party) developer focuses on the property and it’s future, the GPs priority is reducing their risk maximising security long term and fixing people and it is in that order. Unless you are safe you cannot focus to look after others. The long-term priority is to ensure a GP practice can deliver suitable fit for purpose accommodation (whatever the current trendy issues are) so the life of everyone within the practice is comfortable.